There are 400 Prizes in total! 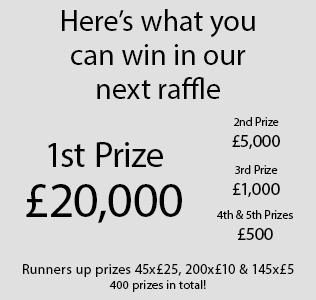 You also have the chance to win £500 in the prize draw especially for raffle subscribers. 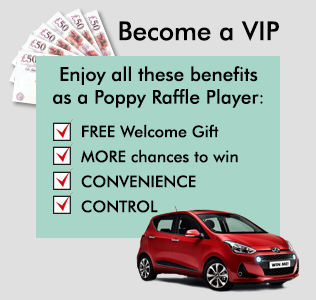 If you are one of our lucky winners, we will send you a cheque within 28 days of the raffle draw date. 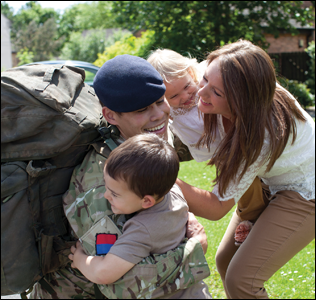 By subscribing to the Legion's raffles you are helping to ensure we can support serving and ex Service people and their families all year round, for as long as they need us.